Franzinite: Mineral information, data and localities. Named by S. Merlino and P. Orlandi in 1977 in honor of Marco Franzini (3 October 1938, Florence, Italy - 15 May 2010), Professor of Mineralogy, University of Pisa, Italy. 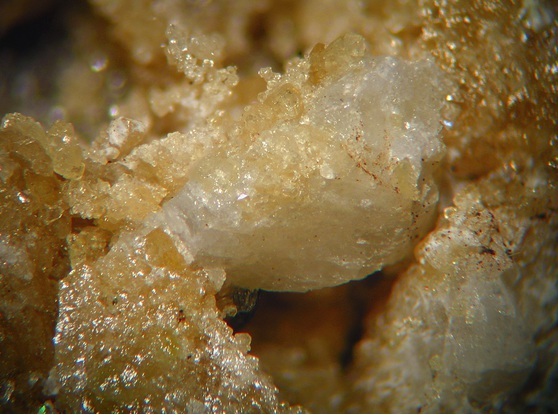 This page provides mineralogical data about Franzinite. Grossular 1 photo of Franzinite associated with Grossular on mindat.org. Vesuvianite 1 photo of Franzinite associated with Vesuvianite on mindat.org. 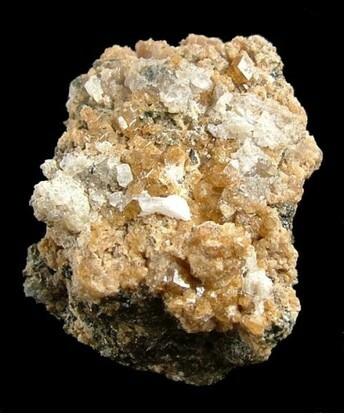 Fassaite 1 photo of Franzinite associated with Fassaite on mindat.org. 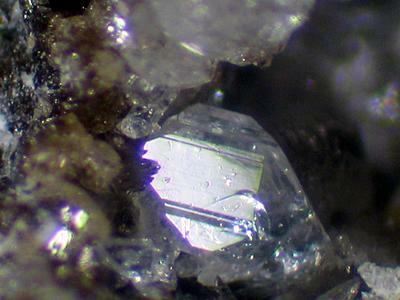 Merlino, S. and Orlandi, P. (1977) Franzinite, a new mineral phase from Pitigliano (Italy). Neues Jahrbuch für Mineralogie, Monatshefte: 1977: 163-167. Fleischer, M., Cabri, L.J., and Pabst, A. (1977) New mineral names. 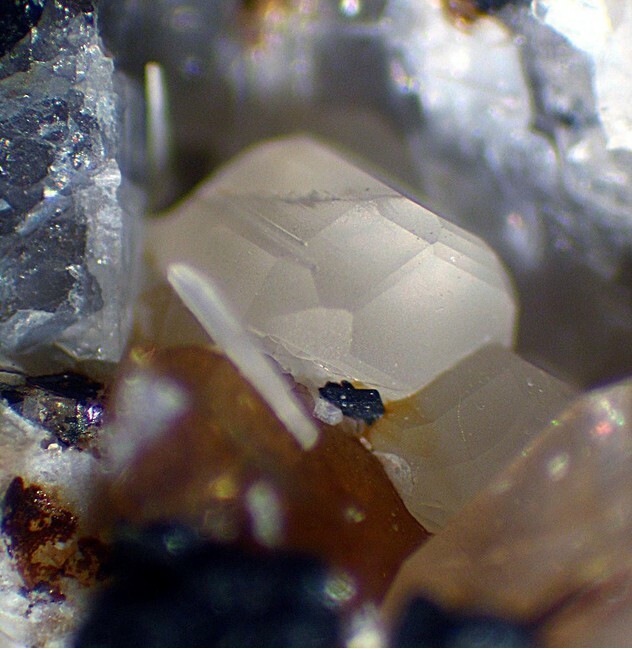 American Mineralogist: 62: 1259-1262. Leoni, L., Mellini, M., Merlino, S., and Orlandi, P. (1979) Cancrinite-like minerals: new data and crystal chemical considerations. Rendiconti della Società Italiana di Mineralogia e Petrologia: 35: 713-719. Rinaldi, R. and Wenk, H.R. (1979) Stacking variations in cancrinite minerals. Acta Crystallographica: A35: 825-828. Hassan, I. and Grundy, H.D. (1984) The crystal structures of sodalite-group minerals. Acta Crystallographica: B40: 6-13. Ballirano, P., Maras, A., and Buseck, P.R. (1996) Crystal chemistry and IR spectroscopy of Cl- and SO4-bearing cancrinite-like minerals. American Mineralogist: 81: 1003-1012. Ballirano, P., Bonaccorsi, E., Maras, A., and Merlino, S. (2000) The crystal structure of franzinite, the ten-layer mineral of the cancrinite group. The Canadian Mineralogist: 38: 657-668. Luigi Mattei photo; Burli, M., Caponera, I., Carlini, R., Pucci, R., Signoretti, E. (2010): La ricerca in località Casale Rosati (Valentano, VT). Il Cercapietre, 1-2/2010, 13-30.